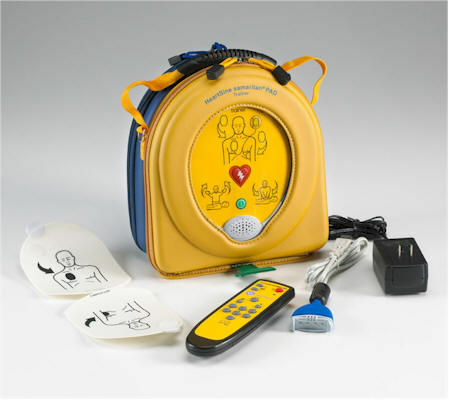 The HeartSine Samaritan PAD Trainer/Demo with remote is easy to use. The trainer guides you through a simulated analysis, energy delivery and prompted CPR intervals without the actual charge and discharge of an electrical shock. The multi-function remote control enables you to select among 5 AHA/ERC scenarios for live demonstrations or training. Compatible with any CPR manikin system, the HeartSine samaritan Trainer package is one of the best values in the market.